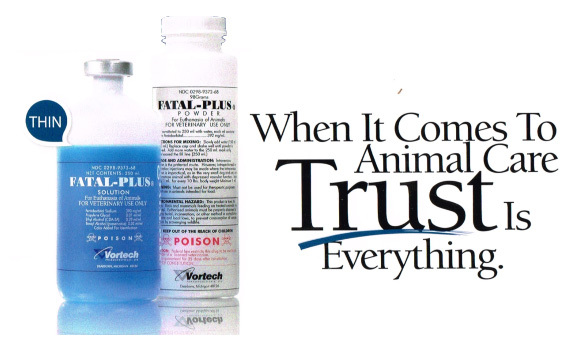 Product | Vortech Pharmaceuticals, Ltd.
As the original developers of Fatal-Plus, Vortech takes seriously its commitment to humane euthanasia. Our customers can rest assured that when it comes to any matter regarding humane animal euthanasia, Vortech will support you in a number of beneficial ways. 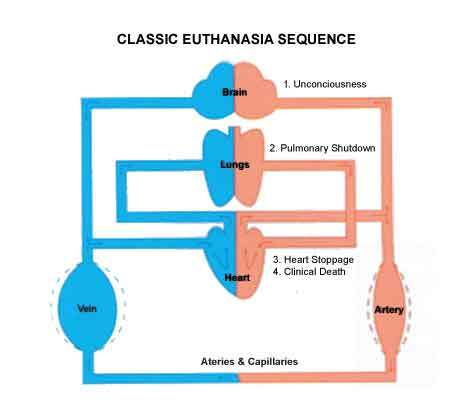 in-depth advice on the humane benefits of animal euthanasia by injection, and encourages you to call us with concerns or questions about this topic. as a regular consultant at animal euthanasia workshops, and is a consistent attendee at animal welfare events and activities. the availability of Fatal-Plus during national shortages of sodium pentobarbital. 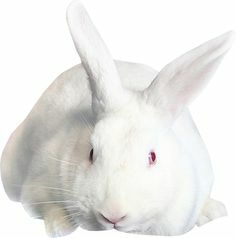 for any and all help in the provision and performance of humane animal euthanasia because we care about the animals in your care. Contains 390 mg/ml pentobarbital sodium. It is presented in a 250 ml vial in a free flowing, premixed solution. Fatal-Plus Solution has a shelf life of 2 years. Contains 98gm. sodium pentobarbital soluble microfine powder in 250 ml screw cap vials ready to be constituted with water. When constituted the aqueous solution contains 392 mg/ml pentobarbital sodium. It will flow through the smallest diameter needle with ease. In powder form, Fatal-Plus has a shelf life of 2 years. Once constituted, potency is guaranteed for 35 days. Fatal-Plus is formulated in shock resistant, silk-screened plastic vials. Silk-screened labeling on vials eliminates smudging or label loss due to moisture or abrasions. Tamper evident packaging discourages theft of contents. Fatal-Plus solutions are colored blue to assist in identity and to measure proper dosage. Extended shelf-life, eliminating the need for special storage conditions. Does not contain any of the following: curare, caine anesthetics, nicotine sulfate, potassium chloride strychnine or phenytoin. 250 ml. multiple dose vial. Two bottle minimum order required. If you are unfamiliar with DEA registration procedures see our website at www.vortechpharm.com, or please call us toll-free 800-521-4686 and one of our experienced representatives will assist you.